A Cocksure University for ALL! – Insight. . . ! A Cocksure University for ALL! 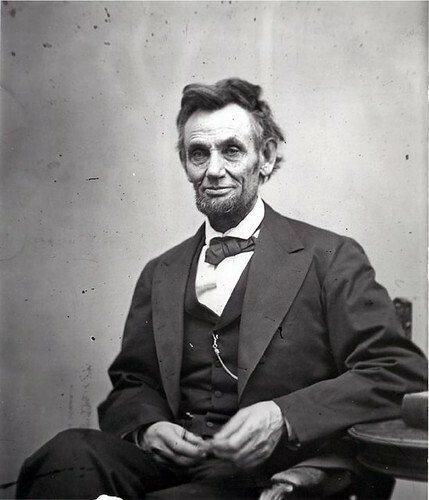 In 1835, Abraham Lincoln’s fiance died. Sanders started the World renowned KFC at the age of 66 years old. Retired from U.S. Army, he doesn’t have any cent of money except from old-age allowances (pension allowance) that become less from day-to-day. But he has expertise in cooking and offers recipes to more than a thousand restaurants in the country. Colone Harland Sanders is a pioneer of KFC which has grown to become one of the largest fast food franchise industry in the world. Until now, Colonel Sanders still become a symbol of entrepreneurial spirit. He was born on September 9, 1890 in Henryville, Indiana, but he just actively grew his chicken business franchise when his age already 65 years old. At 6, his father died and his mother was not able to work longer so young Harland had to take care his younger brother who was still 3 years. By this situation, he had to cook for his family and on this period he was already beginning show his cooking skill. At 7, he was good at cooking at some place. And at 10, he got his first job at a place close with a farm with $2 per month salary. When he 12 years old, his mother married again so he left the house and worked on a farm in Greenwood, Indiana. After that, he alternated work for several years. First, became a parker at age of 15 in New Albany, Indiana and later became the soldier that was sent to Cuba for six months. After that he became a fireman, studied law by correspondence, practiced in the courts, insurance, ferry operator, tire salesman and service station operator. At 40, the Colonel began cooking for hungry travelers who stopped at his service station in Corbin, He didn’t have a restaurant at the time, he serves his meals in dining room at the workshop. Finally, he decided to moved to across the street to a motel and restaurant because of more and more people come to eat. On this new place, he able to accommodate 142 people. For almost 9 years, he used a recipe made with basic cooking techniques and this concept still apply until present. At the time, Colonel Sander had a good image. Governor Ruby Laffoon presented an appreciation as Kentucky Colonel to him because of his contribution to the state of Cuisine. On 1939, for the first time its existence listed in Duncan Hines ‘Adventures in Good Eating”. It’s a matter of fact that more than 1400 recipes by Sanders gets rejected drastically by the food takers. In such a worst situation, if he gets disappointed in having further experiments, will this popular branded ‘KFC’ trailed around the world currently like this? Credits for Images and few infos: Google. This entry was posted in Prose, Teens and tagged Achievement, Facts, Failure, Faith, Food, Future, KFC, Lincoln, Perseverance, Politics, Sanders, Success, Teens, Trust, University, You. Bookmark the permalink. ← Dynamic Views Series: No.009! This was a great informative post from your side Rahul! I am sure we all have enrolled for the University Of preservance.